Virginia Tech’s Malcolm Delaney has been named the ACC Player of the Week while Duke’s Kyrie Irving was tabbed the ACC Rookie of the Week following their outstanding performances this past week. In earning ACC Player of the Week for the third time in his career, Delaney averaged 21.0 points, 4.0 assists on the week and shot .545 from the field as Virginia Tech went 2-1. The Baltimore, Md., senior opened the week scoring 17 points to go along with seven assists in a 72-56 win over Cal State. 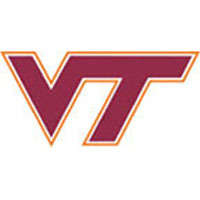 The following evening, he tallied 16 points, making 10-of-11 free throws, to rally the Hokies to a 56-51 win over previously-unbeaten Oklahoma State. On Sunday, Delaney scored a game-high 30 points on 9-of-14 from the floor, including seven-of-nine from behind the arc in a 71-59 loss to UNLV. In earning his second Rookie of the Week honor, Irving averaged 14.7 points, 5.0 assists, 3.3 rebounds and 2.3 steals per game as Duke improved to 6-0 on the year with wins over Marquette, No. 4 Kansas State and Oregon. The West Orange, N.J., product was named the MVP of the CBE Classic after scoring a team-high 17 points to go along with five rebounds, six assists and two steals in a 82-68 against Kansas State. He also played a key role in a Blue Devil defensive effort that limited Wildcat All-American Jacob Pullen to four points on 1-of-12 shooting. Irving closed the week with 16 points and a career-high three steals versus Oregon.